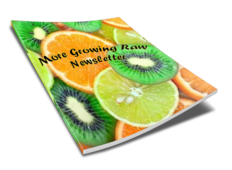 The medicinal uses of oregano are extensive, due to its numerous useful phytochemicals. We all know Oregano to be an excellent culinary herb, but it has now found its rightful place among the medicinal herbs of the 21st Century. Scientific enquiries have brought this humble herb forward to our attention as a powerful antioxidant that can help relieve pain and stimulate the immunity system to protect you against infections, allergies and debilitating disease. As for its phytochemicals, Oreganum vulgare hirtum has 29 anti-inflammatories, 11 analgesics, 16 sedatives, and 5 carminatives, making it an ideal remedy for sore muscles, painful spasms or cramps, sore stomach or indigestion and pain associated with arthritis or rheumatism. It can even be used for tension headaches and nervous conditions that cause muscle tightness around the head and shoulders. Other indications for using medicinal Oregano: as a powerful anti-allergy remedy, an antiseptic, a diuretic, an antibacterial and antiviral remedy, for the treatment and prevention of Candida albicans, for allergies such as hay fever or environmental allergies, for colds and the flu, as an expectorant to loosen phlegm, for weight control and for the possible prevention of Alzheimer’s Disease. Chop up the leaves and place in a salad, sauces or soups or use the leaves in teas, infusions and to make tinctures or glycerines. Use oregano teas to treat coughs and colds, headaches, indigestion and flatulence. Cooled oregano tea can be used as an antiseptic wash for cuts and abrasions, skin irritations and bites. Oregano poultices will help treat bruises and inflammation. 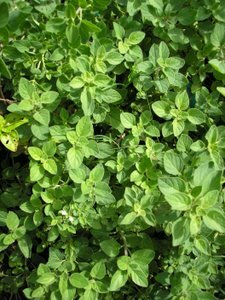 Oregano also has abortifacient and emmanagogue properties so it should not be taken by pregnant women or nursing mothers. Oregano is an herb from the Mint family and will affect the thyroid in a negative way if used a lot by people who suffer from any thyroid problem. Oregano, Origanum vulgare hirtum, can be grown from seed or by division. The oregano plant has a wide tolerance for different soils as long as they’re well-drained. It prefers an open and sunny position. Oregano plants help repel cabbage moth from the garden, benefiting cabbages and cauliflowers as a companion. Oregano’s phytochemicals and phytochemical properties are selectively cited by the author from the Dr. Duke's Phytochemical and Ethnobotanical Databases, http://www.ars-grin.gov/duke/plants.html, Jim Duke and Mary Jo Bogenschutz.